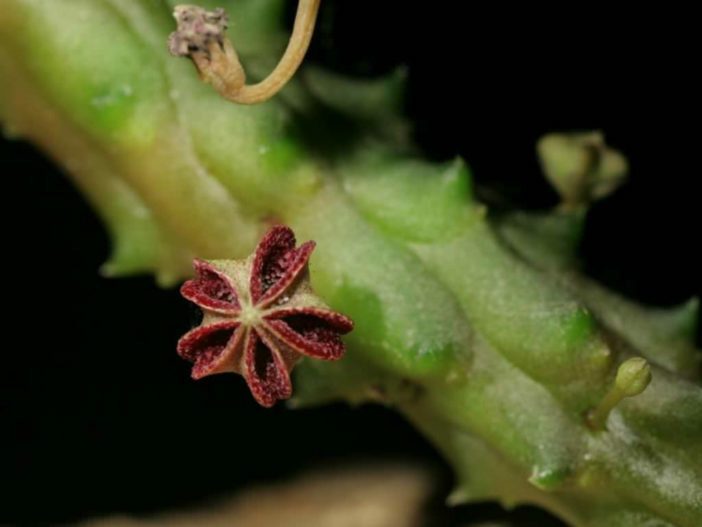 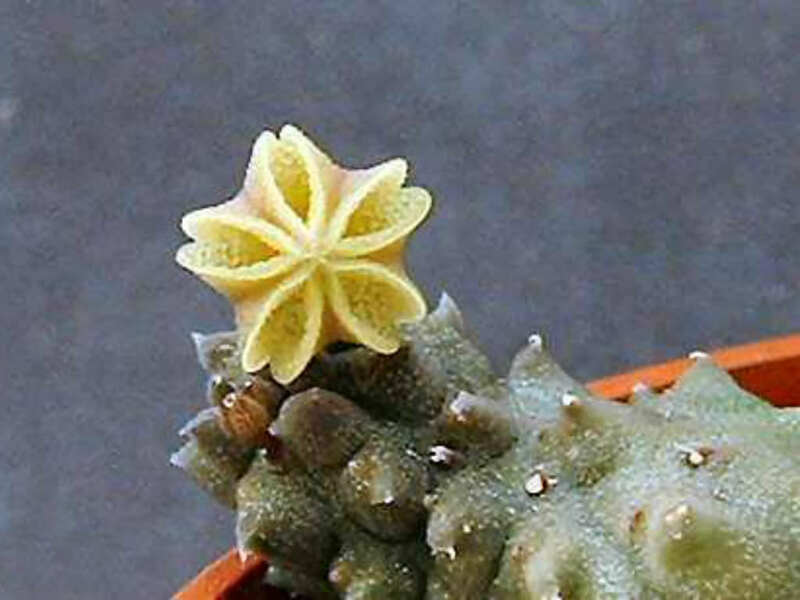 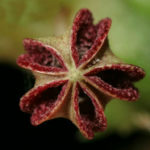 Pectinaria namaquensis is a rare, dwarf, stem succulent, leafless, hairless and forming mats from branching of the stems. 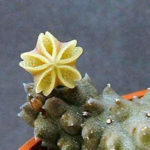 The stem are up to 3 inches (7.5 cm) long and 0.5 inch (1.3 cm) in diameter. 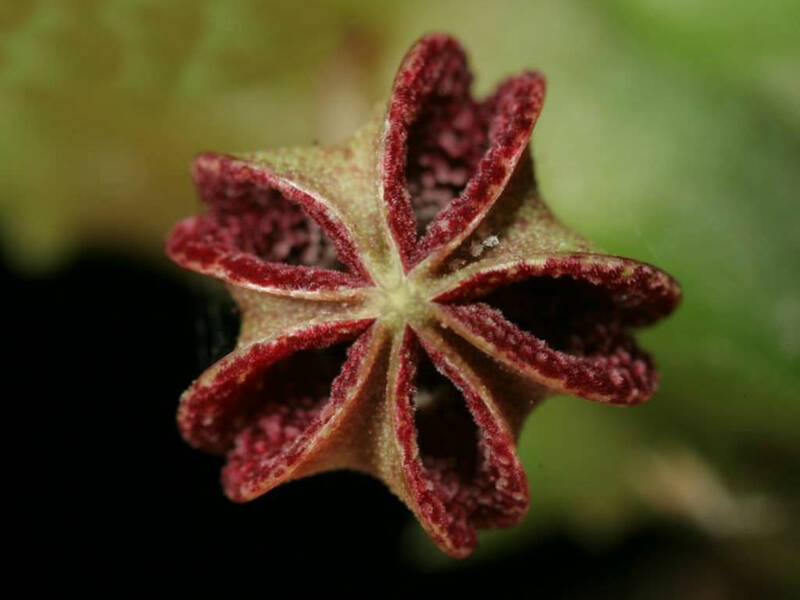 The flowers are greenish-yellow or purple-red and are characterized by corolla lobes that are united at their tips, hiding much of the flower interior from sight. 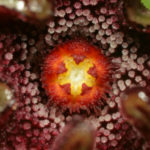 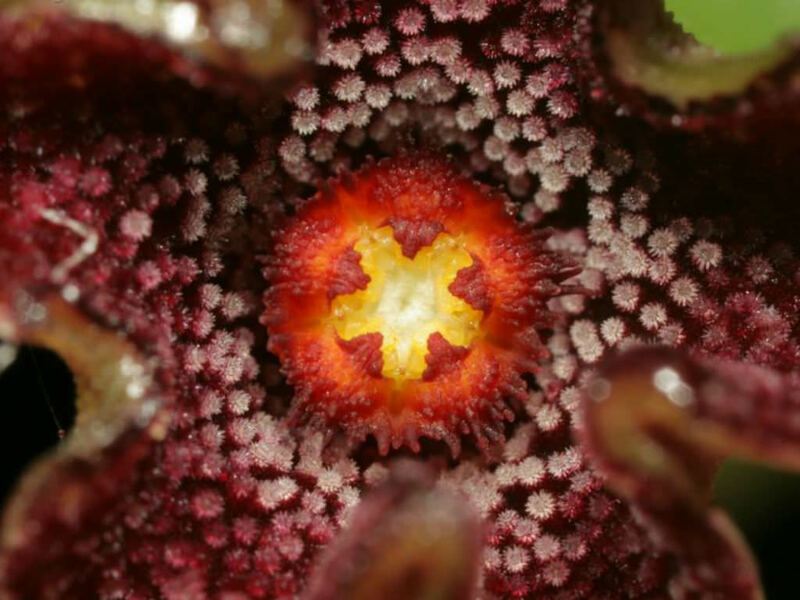 Only narrow openings are left between the lobes for tiny insects to access the flower parts involved in pollination.